You know what wellness feels like. It’s not just physical health, it includes overall well-being for a better quality of life. There are a lot of factors that can affect the quality of life. 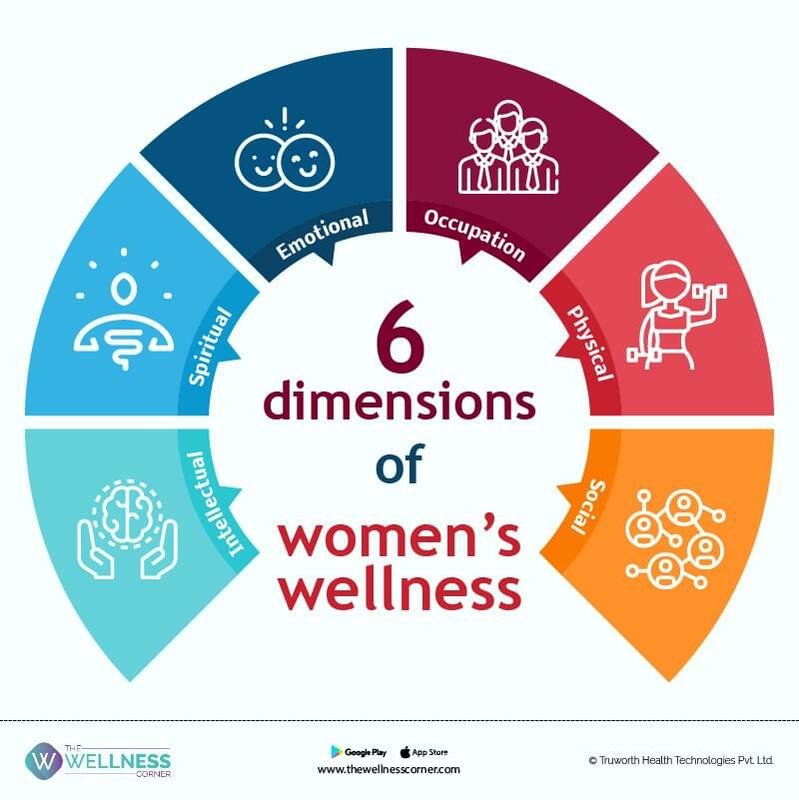 The Six Dimensions of Wellness model is a simple way of describing the various factors that influence overall health and wellness. It is the integration of the six interactive dimensions that repeatedly influence and balance each other and create overall wellness. The six dimensions of wellness are: physical, emotional, spiritual, intellectual, occupational and social. They are discussed in greater detail below. The physical dimension recognizes the need for regular physical activity. Optimal wellness is met through a combination of regular exercise and healthy eating habits. The physical benefits of looking good and feeling great most often lead to the psychological benefits of improved self-esteem, self-control, determination and a sense of direction. The emotional dimension recognizes awareness and acceptance of one’s feelings. Emotional wellness includes the degree to which one feels positive and passionate about one’s self and life. Having the ability to understand your own emotions and finding healthy outlets for those feelings helps you to cope with daily issues. Finding friends to confide in, exercising, writing our feelings down, and talking to therapists are all healthy ways of recognizing and coping with your emotions. It is better to be aware of and accept your feelings than to deny them. It is better to be optimistic in your approach to life than pessimistic. The spiritual dimension recognizes your search for meaning and purpose in human existence. Spiritual moments may occur in many environments like visiting any spiritual place, on a walk in the woods, while meditating, on a run. Spirituality is a personal thing. It helps people stay grounded and enables them to retain their focus on what is important in their lives. It is better to live each day in a way that is consistent with our values and beliefs. The intellectual dimension recognizes one’s creative, stimulating mental activities. Keep your mind stimulated by learning something new every day, whether it is related to your professional interests or your personal interests. Be sure to fill your mind with stuff that is true and accurate. It is better to stretch and challenge your minds with intellectual and creative pursuits than to become self-satisfied and unproductive. The occupational dimension recognizes personal satisfaction and improvement in one’s life through work. The choice of profession, job satisfaction, career ambitions, and personal performance are all important components of your occupational wellness. It is better to choose a career which is consistent with your personal values, interests, and beliefs than to select one that is unrewarding to you. The social dimension encourages contributing to one’s environment and community. Social wellness is about relating, interacting and communicating well with others. Keep a close circle of friends. Having people to connect with and share your world with is an amazing gift you can give to yourself. Support systems enable people to sail across through life’s highs and lows. It is better to contribute to the common welfare of your community than to think only of yourselves. By implementing these dimensions, you are better equipped to manage the complexities and spontaneities of life. When one or more dimensions are jeopardized, the others play a greater role to balance out the compromised dimension.